Dental Implants Are Not Scary As You Think – Read Now! Nowadays, many people are being more cautious towards dental implants and sway towards dentures due to lack of confidence. If you suffer from missing teeth and unable to eat food you enjoy, then dental implants are the right option. You might heard of many stories that says dental implant treatment is very painful and nerve cracking but it’s a MYTH…Yeah, With the advancements of technology in dentistry, dental implant is now become a pain-less treatment. In this article, I am going to the most common three myths about dental implants and let us discuss whether it’s true or not. Continue reading…. There are three things that will predict the answer for the question “Does the dental implant hurt?” The understanding of the treatment is the first, the ability of your jaw bone to fuse with the dental implants, and the third is the skill, training and experience of your dental implant specialist. So keep in mind, pain should not be a factor in your decision making process. Choose the dental implant specialist who offers the right treatment that will give you the best result. Dental Implants do not cost much more than an average 3 tooth! The cost of dental implant is little bit expensive. The long-term cost for having an implant versus a bridge is much lower, since a bridge will be replaced every 7 -15 years. Your dental implant will most likely never need to be replaced! Having a dental implant usually takes 2-4 months an average to heal. We understand it’s a long term, but just keep in mind that it is a short term sacrifice for a long term benefit! The healing time is typically based on the nature of your jaw bone. By nature, bones take a while to heal; the bone around a newly placed implant has to mend, just like the bones in your arm would have to. These are few of the common misconceptions you often hear from patients. Are you still confused, “Are Dental Implants Right for You? Many people who have experienced tooth decay, tooth loss or lost their teeth due to gum disease are looking to explore the option of dental implants. Almost everyone can be suitable for dental implants. If you’re healthy enough to have dental extractions and you have healthy gums & jaw bone, then you’re the idea candidate. Dental implants provide a huge number of benefits. You may be astonished at how easy the treatment process will be for you. From boosting your confidence to making everyday activities easier – you won’t be disappointed. 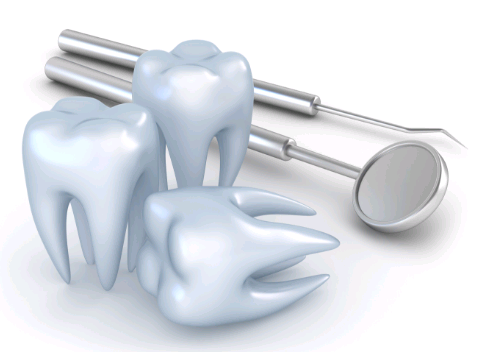 All you need to do is contact the experienced dental implant specialist in Penrith today! Just fill in the form below and leave the rest to us, we'll give you a call and arrange a time. What Are The Signs That Indicate The Need For A Root Canal Therapy? Copyright © 2018. Penrith Dental Clinic. All Rights Reserved.